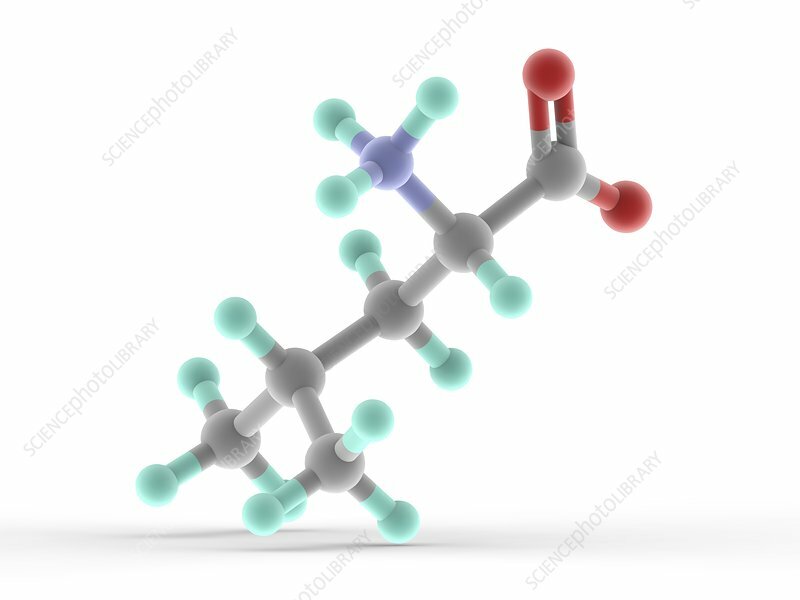 Leucine, molecular model. Essential alpha-amino acid contained in eggs, soy protein, seaweed, turkey, chicken, lamb, cheese, and fish. Atoms are represented as spheres and are colour-coded: carbon (grey), hydrogen (blue-green), nitrogen (blue) and oxygen (red).